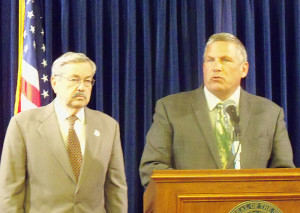 Ag Secretary Bill Northey and Governor Terry Branstad announce the emergency declaration over the bird flu on May 1st. The governor has extended the statewide disaster emergency he issued following the outbreak of avian flu. 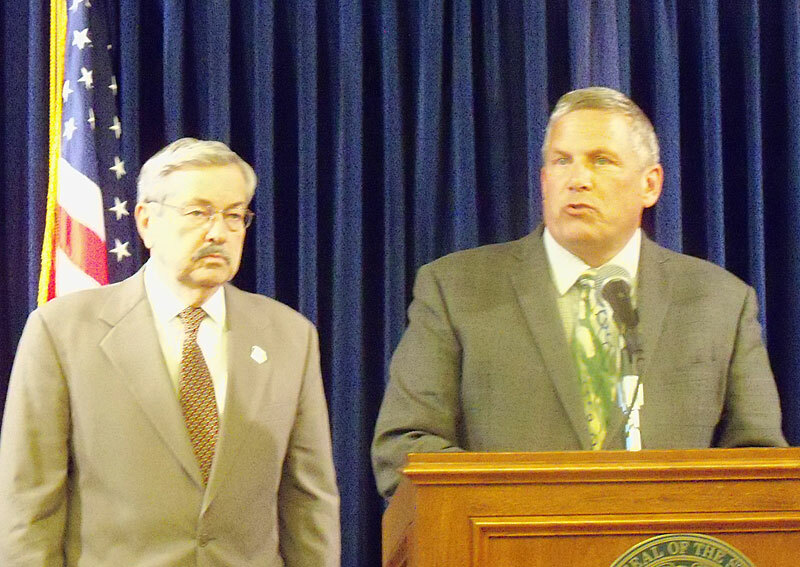 Governor Terrry Branstad declared the emergency on May 1st and it was set to expire at the end of this month, but he has now extended the declaration through the month of June. The number of facilities hit by the bird flu outbreak is now 68, and has impacted millions of chickens and turkeys in 18 counties. The disaster declaration allows for the coordination of state resources in the disposal of the infected animals. Branstad said at the time he declared the state of emergency that it was the worst such outbreak in the state in modern times.